Have you always dreamed of owning your own home theater? 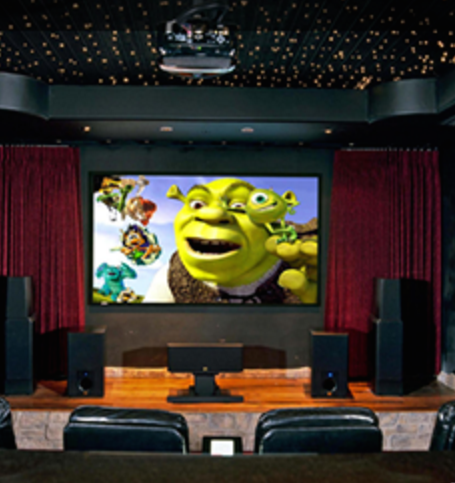 Discover the many benefits of residential theater systems from Sight & Sound Technical Solutions. Proudly serving Union, NJ, and the surrounding areas, this locally owned and operated business offers everything from home theater design and TV mounting to system integration and outdoor audio systems. Whenever you want to take your home’s technological amenities to the next level, allow these friendly professionals to provide you with everything you need. Comfort: Why pile up on the couch in front of your little TV set when you can kick back, relax, and watch your favorite movies and shows on the big screen? Home theaters are ideal for everything from watching family videos to sports games, all in the privacy of your own home. Quality: The sound and picture quality of home theater systems cannot be overstated. Your home theater’s high-definition picture and surround sound system will truly bring your audio-visual experiences to life. Home Automation: In addition to watching movies and TV shows, you will also be able to hook up your favorite gadgets to your home theater system. Devices such as thermostats, lights, and intercom systems can all be connected to your home theater system to increase its range of functions. For the best professional audio-visual services in the greater Union area, rely on Sight & Sound Technical Solutions to update your home’s technological capacity and maximize your level of home entertainment. Give them a call at (908) 378-5843 today to speak with a helpful customer service representative about installing a home theater system, and be sure to visit them online to find out more information about their many products and services.